My wife recently said this was probably the best chicken recipe I have ever made. Now, for me, I would disagree on that matter as I have made some pretty delicious chicken recipes including that of some chicken pad Thai sliders, but she was correct that this chipotle chicken recipe was really, really good. Now when you think of chipotle peppers, yes, the ones I truly love, you might instantly think of extreme heat, but that is simply not the case with this recipe. The chipotle peppers actually give it a slight kick, but really, really amazing flavor. Let’s just say all of my kids ate this chicken up with no complaints, and they would be the ones to let me know, trust me. The great thing about this chicken is that you can use it in salads, sandwiches, stir frys, or in my case, tacos, because I love tacos. Add everything but the chicken and water to a mixing bowl. 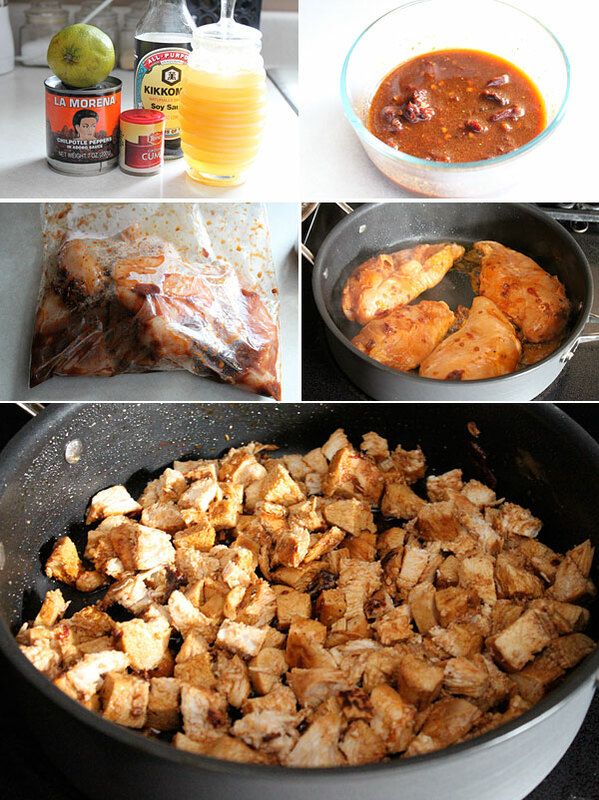 Add the chicken to a gallon sized sealable bag, then add in the marinade. Let this marinade for four hours or preferably overnight. Another good thing about this is that you can grill, bake, or pan sear, which is the route I took on this as it was pretty darn cold outside. Heat a large, nonstick skillet on medium, to medium high heat. Flip, cook another few minutes, then add in the water, reduce the heat, cover, and continue to cook for about 10 more minutes before removing it and cutting it into bite sized pieces. Remove the chicken onto a cutting board, or plate, and cut into bite sized pieces. Return back to the skillet to keep the chicken warm, and bath in the sauce. When you are ready to serve, add to your tacos, sandwiches, or salad. 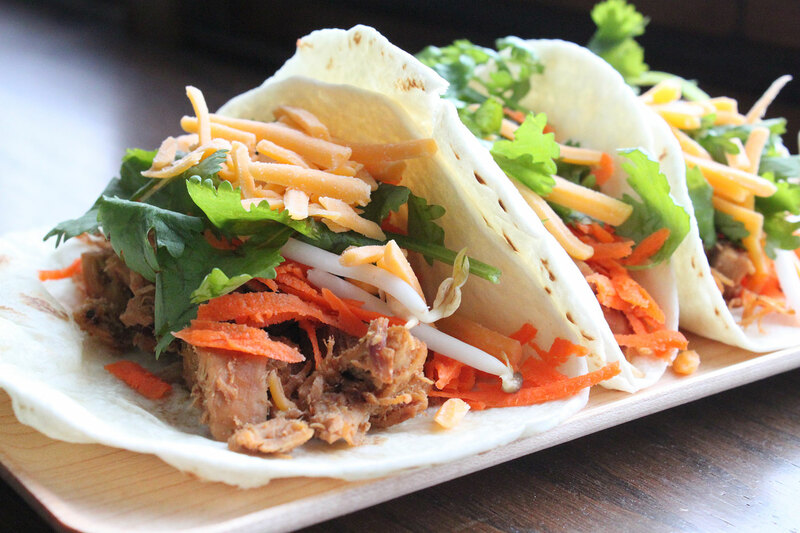 These chipotle chicken tacos were perfectly balanced with sweet, heat, and tang. I hope you enjoy! Heat a large, nonstick skillet on medium, to medium high heat. Add the chicken, and cook for about 5 minutes, leaving untouched to get a nice sear on it. Flip, cook another few minutes, then add in the water, reduce the heat, cover, and continue to cook for about 10 more minutes before removing it and cutting it into bite sized pieces. When you are ready to serve, add to your tacos, sandwiches, or salad. Enjoy! Mmm! I want these right now! It’s a shame there’s a driving ban and a polar vortex (and about 2.5 feet of snow) locking us in the house right now. Once the roads are clear and open, I’m going grocery shopping!